We offer an array of different styles of water baths for tubing, medical tubing, pipe, profile, and compounding processing requirements. 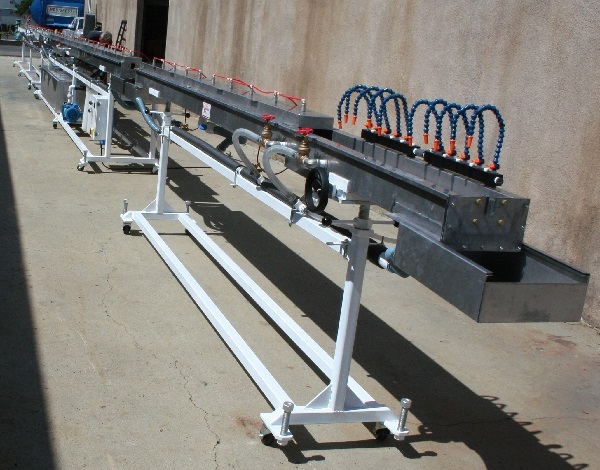 Our water baths can be as simple as a cooling trough on a tubular frame ready to be coupled to your in-house re-circulating/cooling system, to a fully self-contained system with cooling trough, sump tank, re-circulating pump, heat exchanger, and water input agitation system all mounted on a tubular frame ready for hook up to your in-house chilling system for a more precise temperature controlled environment. 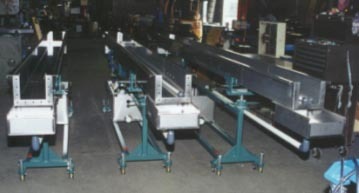 All our water baths are manufactured from stainless steel for years of corrosion free operation.